“Alice,” a Musical Play, opens the fifth season at Guilford Center Stage, on April 26-28, at the Broad Brook Community Center in Guilford. The work is performed as a tribute to an iconic 1978 outdoor production in Guilford. Performances are Friday and Saturday evenings, at 7:30 pm, and Sunday afternoon at 2 pm. Tickets are $12 general admission. David Rohn was born in Chicago in 1934 and grew up in the small town of Ludington, along the shore of Lake Michigan. He graduated from the University of Michigan College of Architecture and Design and stepped into a creative life richly lived as cartoonist, puppeteer, printmaker, teacher and painter. Running parallel to his explorations in abstract painting and printmaking, and during his tenure at Windham College in Putney, Vermont, in the mid-1960s and ’70s, David’s watercolor painting gave relief from the more formal demands and cultural mandates of artistic invention and novelty of non-figurative oil painting. The delicate washes and expansive passages of color represent liberation from an art world of expectation and judgement. 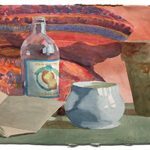 His modest still-lifes are deceptively loose and easy, and we’re comforted by the associations we bring to his unassuming and familiar scenes. When the Cathedral of Notre Dame in Paris burned yesterday, it was more than a religious icon that was lost. 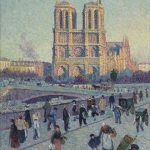 For workers, women, artists, tourists, the city of Paris and all of France, Notre Dame was both monument and living symbol of human aspiration and French spirit. Notre Dame has always been remembered for the prodigious labors of the generations of workmen and artisans who created it. It was ordinary people who built it and, in large part, it is their legacy that went up in flames. Company of Muses announces May 1, 2019 is the deadline to apply for scholarships for summer sessions at the Brattleboro School of Dance. Applications can be found at www.companyofmuses.org. Funds are available for dancers of all ages and abilities so long as the family can demonstrate need according to federal financial assistance guidelines. The amount of assistance available is determined by these guidelines, as well as the number of applicants. 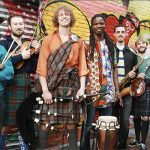 Next Stage Arts Project will host its annual Gala Benefit Dance Party, to benefit Next Stage programming, featuring the Afro-Celtic Funk band Soulsha on Saturday, April 6 at 7:30 pm. The party will include an online auction, great food and a beer and wine cash bar. Ticket price includes dinner by Smokin’ Bowls. Soulsha is a party, a revolution, and an adventure through different traditions. It brings together some of Boston’s top musicians in Scottish, West African and Funk music to create a sound you won’t find anywhere else on the planet Soulful call and response singing, masterful improvisation, traditional Sengalese and Scottish dancing and incredible energy make every Soulsha show and unforgettable live experience. Milton Glaser has often been called America’s foremost graphic designer. 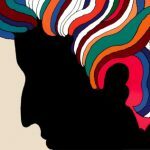 Best known for co-founding New York Magazine and the enduring I Love NY campaign, the full breadth of Glaser’s remarkable artistic output is revealed in this documentary portrait, Milton Glaser: To Inform and Delight. From newspapers and magazine designs, to interior spaces, logos, and brand identities, to his celebrated prints, drawings, posters and paintings, the documentary offers audiences a much richer appreciation for one of the great modern renaissance men. The film glances into everyday moments of Glaser’s personal life and captures his immense warmth and humanity, and the boundless depth of his intelligence and creativity. 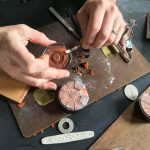 BRATTLEBORO: Borter’s Jewelry Studio announces its spring schedule of beginner- and intermediate-level metalsmithing workshops. Also, the studio is inviting aspiring jewelers use its space and equipment to work on their own designs. Stop by McNeill’s Brewery at 90 Elliot Street in Brattleboro, March 6th from 5-7 pm for Birds & Brews, a Southeastern Vermont Audubon Society meeting. Come out for a beer (or soda) and some friendly chatter with area birders and naturalists. Free and open to the public and all levels of birders (including new ones). Show up anytime between 5 and 7. 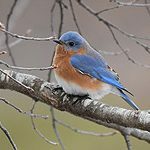 West Brattleboro — Images of birds and other wildlife taken by David Y. Parker, Jr. of Brookline, Vt., are showing in the foyer and other gallery spaces at All Souls Church through the end of April. The public is invited to an artist’s reception on Saturday, March 2, from 2:00 to 4:00 p.m., offering both sweet and savory treats. This gathering offers a convenient opportunity for visitors to ask the photographer about his artistic approach and camera techniques. 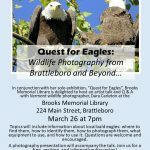 In conjunction with her solo exhibition, Quest for Eagles, Brooks Memorial Library is delighted to host an artist talk with Vermont wildlife photographer Dara Carleton on Tuesday, March 26 at 7 pm. Topics will include information about local bald eagles: where to find them, how to identify them, how to photograph them, what equipment to use, and how to use it. Questions are welcome and encouraged. A photography presentation will accompany the talk. Join us for a free, exciting, and informative discussion! 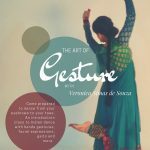 Discover the graceful and dynamic North Indian classical dance form of Kathak with this lecture demonstration and workshop. 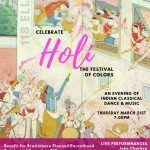 21March 2019, Brattleboro, Vermont: As a benefit for Brattleboro Planned Parenthood, kathak dancer Veronica Simas de Souza and cellist Jake Charkey will present an evening of Indian classical dance and music entitled Holi: The Festival of Colors on Thursday, March 21 at 7:00 pm at 118 Elliot in downtown Brattleboro. Doors open at 6:00 pm. Suggested donation of $10. Less than a week away! 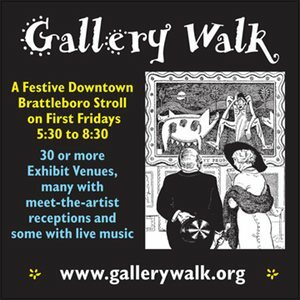 View the raptors and wildlife of Brattleboro through photographic images at the Brooks Memorial Library from February 26th through March 22nd. 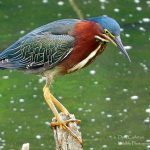 Photographs, by Dara Carleton Wildlife Photography, will include bald eagles, ospreys, cormorants, songbirds, small critters, and waterfowl images all taken within a 30-minute drive from Brattleboro. Come view the bald eagles and wildlife that’s right in your backyard! Opening reception will be Wednesday February 27th from 5-7pm. The Nimbus Dance Company will be back on The Putney School campus from Feb. 24 to March 2 for a week-long residency. This will be the premier New Jersey contemporary dance company’s eighth consecutive year on campus. 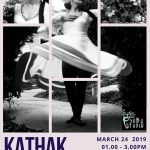 While here, the dancers will teach master classes and perform excerpts of new Nimbus dance pieces in addition to pieces from their acclaimed repertory. Mar. 2 – Apr. 14: Mitchell-Giddings Fine Arts is pleased to present Gene Parulis: Visions and Explorations, with an artist’s opening reception Saturday, March 2, 5-7 pm. The exhibit continues through April 14, and an Artist Talk is scheduled for March 23, 5 pm. 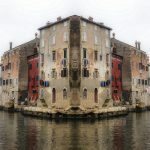 Gene Parulis has been absorbed in photographing the world for fifty years, and his passion for photography is central to his teaching and traveling. 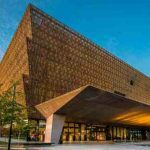 He has taught in diverse places from a mountain village in Algeria to Kuwait University, California to Vermont and has exhibited in galleries in the USA and Europe. Doors open at 6:00 pm. Films are free and open to the public. View the raptors and wildlife of Brattleboro through photographic images at the Brooks Memorial Library from February 26th through March 22nd. 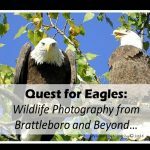 Photographs, by Dara Carleton Wildlife Photography, will include bald eagles, ospreys, cormorants, song birds, small critters, and water fowl images all taken within a 30 minute drive from Brattleboro. Come view the bald eagles and wildlife that’s right in your backyard! Opening reception will be Wednesday February 27th from 5-7pm. 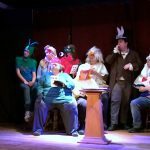 Guilford Center Stage continues into its fifth year with spring and fall productions of plays ranging from nonsense to political satire, and having connections to Vermont, and Guilford, continuing its mission to present place-based theater on the stage at renovated Broad Brook Community Center. “Alice” is the spring show, on the last weekend in April. The musical play, directed by Richard Epstein, is a reflection of a well-known Monteverdi Players production. The 1978 production of the familiar Lewis & John Carroll classic, which was performed on farm near Guilford Center, is condensed from the original 100-acre venue to the chamber-sized stage in the Grange hall, and will feature the musical score from the original play by composer Nicholas Humez. Evelyn McLean is vocal music director. 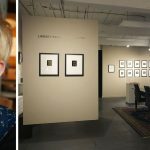 In conjunction with her January 2019 solo exhibition “Progressions“, we are delighted to host an artist talk with Providence-based photographer Lindsey Beal on Sunday, January 27th starting with a 1-hr talk at 4pm and followed by a closing reception with refreshments until 6pm.